For the very first time, the Minetto Elementary Home and School Association will host a community-wide Color Run on Saturday, May 4th at 11:00am at the Minetto Town Hall on Community Drive in Minetto. 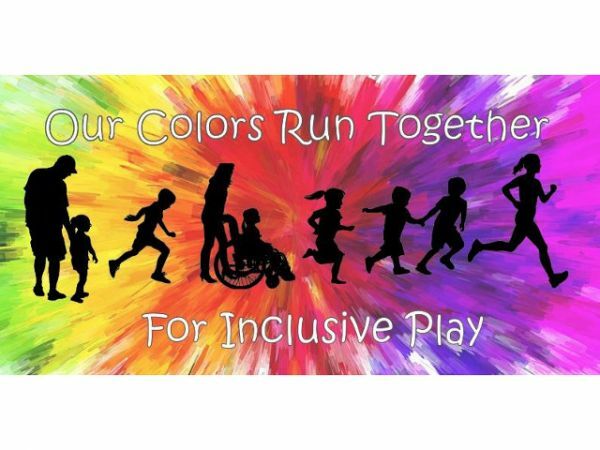 The Color Run is an untimed 5k course or 1-mile fun run where participants are doused in color while raising funds for the Minetto Elementary inclusion playground. There will be various color stations along the way and a celebration at the finish line, with music by Millennium Music Mobile DJ. Each paid registration includes a color run t-shirt. All proceeds go towards rebuilding the Minetto Elementary inclusion playground, which is for children of ALL abilities, offering handicap accessible play structures and sensory walls. The early bird registration deadline is April 15th and is available at www.minetto.eventbrite.com. Participants who register by the deadline are guaranteed a t-shirt. After April 15th, t-shirts are available while supplies last. Packet pickup is available Friday, May 3rd from 3:30pm-5:30pm in the Minetto Elementary cafeteria, or the morning of the race beginning at 9:00am.The cost is $10 for students, $25 for adults and $50 for families. Registration on the day of the event increases to $15 for students and $30 for adults.